1. 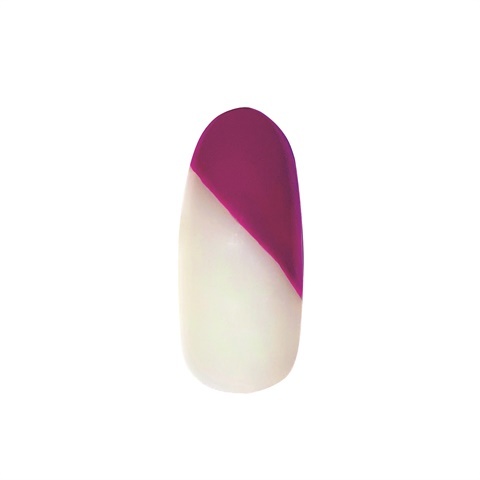 Paint the top half of the nail at an angle using Mystic Maven. 2. 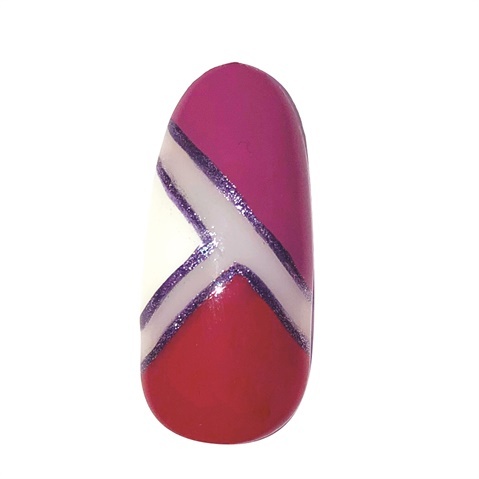 Create two additional triangles using Wild Wonder and White Tips with a space between each section. 3. Using a detailer brush, outline each block with Nebula. 4. 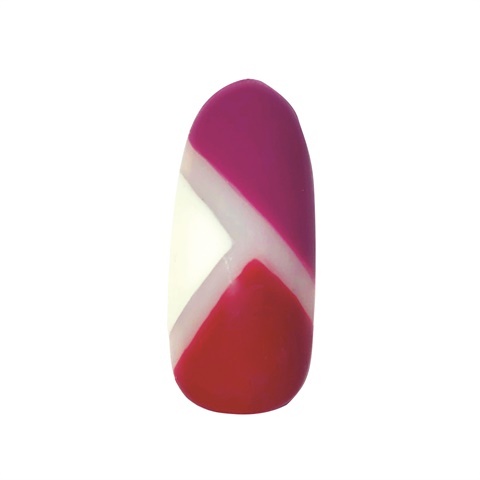 Finish the look by using Nebula on a detailer brush to add a few horizontal lines over White Tips. 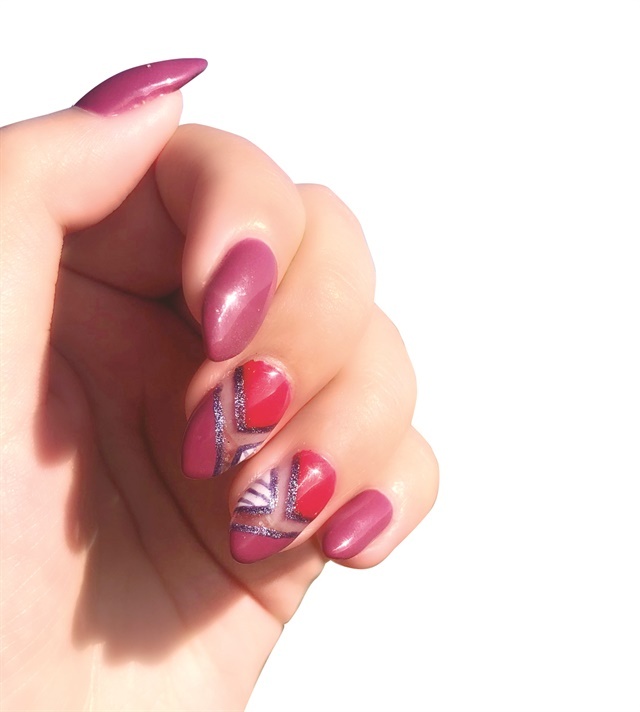 The number of additional lines will vary based on nail shape.